Connecting with a “power” is not about joining organized religion. It is about connecting with life and energy outside of oneself; it is about finding one’s place in the world, and realizing the many valuable ways in which one is connected to the world. This is a step that can be taken by anyone, whether religious, atheist, agnostic, or otherwise. Traditional 12-step programs emphasize that this “power” is meant to be “God, as you understand him.” For some, this connection is found in nature; for some in friendship, family, or community; and for some, it is found in providing service to others. Addiction creates a vortex of self-absorption – the quest to feed the addiction becomes the focus of the addict’s life, and the addict typically suffers from a profound sense of shame and self-loathing. In a state of addiction, it is almost impossible for an addict to see anything outside him- or herself and the need to get high. This vortex reinforces the addict’s belief that nothing and no one can help them escape addiction. In addition, addiction breaks down personal relationships including friendships, family ties, and community bonds. Through dishonesty, manipulation, and broken promises, addicts alienate themselves from the people and relationships that are most crucial to their emotional health and recovery. This alienation leaves them doubting whether recovery is possible, or even worth pursuing. Rebuilding these bonds can provide a person in recovery with the crucial support needed to climb out of the lonely pit that addiction creates. 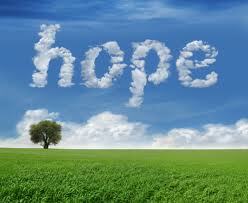 Hope is a door to the future, to potential, to possibilities, to a better life. Hope is also the belief that one is inherently connected to, and therefore valuable to, others. One’s actions don’t affect just oneself; they affect friends, family, and the community. Research has shown that connectedness to others is a deterrent for all kinds of negative behavior, from vandalizing property and theft to sexual promiscuity and substance abuse. Individuals who feel connected to others find strength and hope in these connections. On the other hand, those who feel alienated, abandoned, discounted, or alone have a lot of motivation to engage in negative behaviors. They may act out to be noticed, to prove they don’t care about others (the others who rejected them first), or simply because they don’t think anyone cares whether they hurt themselves. In this way, when recovering addicts begin rebuilding relationships, they begin building hope and a genuine, powerful source of motivation to get sober and stay sober. Try and think of a time when you felt that a greater power than yourself existed, in a positive way. Maybe you were looking out at the ocean or up at the stars; maybe you were listening to a piece of music or looking at a painting. Think about how you can re-connect with that feeling. Who are the people in your life who really care about you and have your best interests at heart? What are some steps you can take to begin repairing or improving your relationships with those people? What are some things that upset you? Think about whether these things are in or out of your control. If there are things that are outside your control, what can you do to “let go”? If, somehow you woke up this morning and suddenly you were your “best self,” who would you be? What would be different about your life? What are some small steps that you can take right now to move closer to your best self? For a person in recovery, finding hope is also about finding a healthy balance between personal responsibility and serenity (healthy coping behaviors) in the face of unexpected challenges. Addiction disrupts the individual’s ability to take responsibility for her own actions while depleting her natural ability to cope with situations that are outside of her control. Reclaiming personal responsibility and learning to cope with unanticipated challenges restores the individual’s feeling of control over her own life. This sense of control creates hope and strength. Reclaiming personal responsibility allows a recovering addict not only to rebuild relationships, but to rebuild self-esteem. Responsibility is a “two-way street.” Personal responsibility allows recovering addicts to “own” their mistakes as well as their successes. A healthy attitude of personal responsibility also includes understanding that one cannot do everything by oneself. People need other people. Healthy coping involves knowing when something is beyond one’s control. Recognizing a power outside of oneself allows a person to “let go,” to realize that he cannot control everything in life. Unexpected things can and do happen. There are a lot of important statements in Emily’s blog, well worth reflecting on them.